How to Optimize comment, Label & Archive Links in Blogger? This is the last part of our series on Blogger SEO PACK 2012 series and it will help to remove great misconceptions and wrong seo concepts that are unfortunately spreading like fire everywhere. As Google, Bing and Yahoo continues to make search experience more trustworthy and neat and clean by removing all spammy and non-trusty sites, SEO has become the most famous name for webmasters. Since blogging is mostly about publishing fresh links to these search engines therefore it is important that you must equip your links with proper rel link attributes. Blogger is pretty different when it comes to labels. In wordpress we have categories and then sub categories that are called tags. Tags were introduced in wordpress so that pages could be provided a much deep navigation. However we don't have sub categories in blogger, what we have are called Labels. These labels in SEO terms can be called simply Tags. You attach tags to your posts to categorize posts. Don't confuse your selves with categories, labels and tags, they are all considered the same by search engines and can be described as category links. Search engine optimization revolves around optimizing mainly links. Your SERP ranking which is your ranking search engine results Page is depends largely on your meta tags, incoming and outgoing links. Links are hyperlinks that takes visitor from one page to another or from one section of your blog to another. 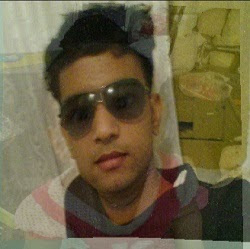 Search Engine automatic programs called crawlers or spiders give great importance to links in any page. Your Page Rank juice flows in and out depending on how well are you linking. 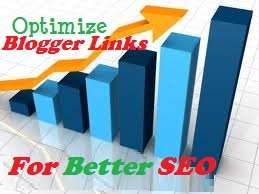 If you are linking to poor, low quality sites then on next PageRank update is that your PageRank would badly suffer. PageRank is responsible for telling Google how important your blog is and how faster it should be crawled and given importance. Your PageRank surely improves when others link-back(recommend) to you but you can loose the same PageRank by linking to low quality sites or sites that does not belong to your niche (blog topic). When should you Tag external links as nofollow? But what about internal links? Can links on your blog effect your Blog indexing and Search ranking? Of Course! All pages inside your blog are treated as separate web pages when it comes to PageRank juice flow. Archives like labels and comment links can badly produce crawl errors and makes the job difficult for search spiders to crawl your blog content/data. To make spider job easy you must act like a Traffic police by directing crawlers what to index, crawl and flow PR juice to. 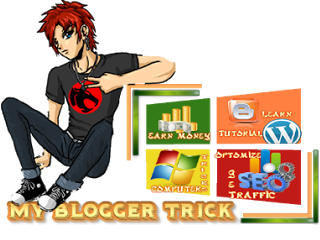 This is our aim of this tutorial and we will be turning your free blogger blogs into highly optimized webpages. But first lets learn some basics and wrong concepts shared widely these days. I would personally except the fact that during my early stage of blogging, I personally shared some wrong SEO concepts and I used to learn them online from other fellow bloggers, but after becoming a certified SEO, most of my concepts related to how search engines work are now pretty clear. The information shared today is a result of thorough research and study, so you can confidently apply this tutorial to all your current blogs. Lets first discuss how links are structured and then share some wrong ways of optimizing them. This is a naked link with no link attributes. To optimize this link in order to tell search engines how much value should be given to the link you shared, most webmasters are using pretty strange ways. For telling robots that though you are linking a webpage but you don't trust it or recommend it as a quality publishing website. This has exact similar meaning as that of nofollow attribute but the word external tells robot that the linking is pointing outwards. In most SEO forums, its also discussed that it has the same effect as that of target="_blank". Target blank is an HTML attribute that opens a link in new window and external nofollow does the same. But this is not true because if you click any comment link on this blog or any other wordpress blog using "external nofollow", you will observe that the link opens in the same tab. What I understand is that the difference between nofollow and "external nofollow" is that they both have the same effect but "external nofollow" is a better approach to use when the link is pointing out-words i.e Should be added to outgoing links you don't trust.